The couple that supports one another, stays together. 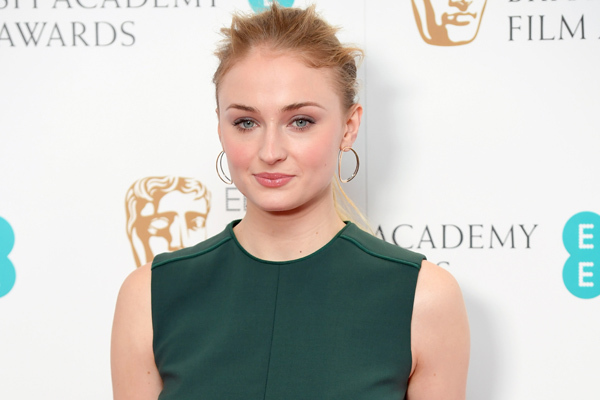 Actress Sophie Turner is clearly Joe Jonas’ band’s number one fan, and she has the clothing to prove it. Whether it’s hanging out with Jonas and his bandmates, or wearing DNCE branded items, the 20-year-old actress is a major supporter. Seriously, we can’t get enough of Turner and Jonas together, because they are so in love. The Game of Thrones star’s ability to support her BF throughout their romance is the best part. The British actress has been seen spending time with Jonas and DNCE a lot now that their tour has started. She posed with them at the 1o Things I Hate About You sculpture in Seattle. She’s proven that she’s the 27-year-old singer’s biggest fan through her clothing choices. Last week she sported the cutest throwback t-shirt of all four members of DNCE out and about with her bae. While going to one of the band’s shows, the young star rocked a snazzy jacket from the tour’s merchandise table and it is SO fun. When the GOT actress isn’t showing off her latest DNCE clothing collection, she’s just enjoying the music. The redhead beauty attends as many concerts, gigs and appearances for the former Jonas Brothers singer as possible. If you’re lucky, you too could see Sansa Stark dancing to DNCE as they continue their tour. Wouldn’t that be amazing?